One of our unwritten household rules is to try to get an extra reuse out of something before throwing it away to sit in a landfill for a million years. Often that second use comes by the way of our city recycling bin and local business who accept hard to recycle items like electronics and batteries. Husband and I are relatively healthy people but every once and awhile we get sick enough to require prescription medicine. More often than not the medicine comes comes in a plastic pill bottle that isn't always recyclable. But don't throw those empty medicine bottles away! 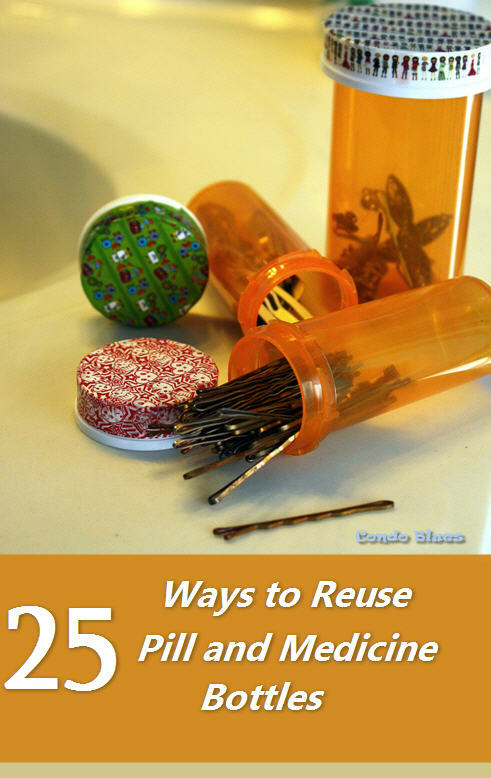 It is so easy to recycle pill bottles into something insanely useful! After reading so many clever organizing ideas you'll never look at an empty pill bottle as trash again!